Measures to crack down on the mis-selling of mobile phone contracts have been brought into force by the communications regulator Ofcom. Firms face simpler rules which could lead to them being fined up to 10% of turnover if they mis-sell. A voluntary code of conduct failed to reduce complaints. Cashback offers, when customers buy a handset up front and then are refunded the cash over the course of the contract, are under scrutiny. Restrictive terms and conditions, which were often difficult to understand, meant some of these customers had failed to receive money they were expecting. Other retailers have gone bust, leaving customers without their money, Ofcom said. The regulator is demanding that companies offer accurate information when customers sign up for a contract. Signing up to a service after being told coverage in their area is good, but then finding that they have little or no reception. The regulator said it would now be monitoring communications providers' adherence to the rules. 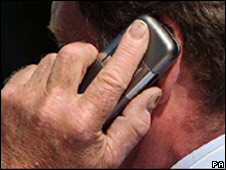 Different rules for the providers of landlines will be introduced on Thursday.